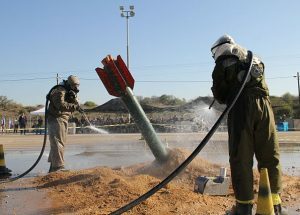 Left to their own likely preferences, whether expressly stated or prudently obscured, certain of Israel’s potentially nuclear adversaries could someday bring the Jewish State “into the eternal darkness, into fire, and into ice.” It is indispensable, therefore, that Israel’s senior leadership take all conceivable steps to ensure that any preventable failures of deterrence never spark a nuclear attack or exchange. With this security imperative as “GPS,” it is vital for IDF planners to progress (both conceptually and operationally) towards the following core understanding: Nuclear deterrence and conventional deterrence are never separate security postures. These seemingly discrete protective strategies are always structurally interrelated and mutually reinforcing. In essence, a nuclear attack or nuclear war in the Middle East is never quite out of the question, even if Israel should remain the only nuclear weapons state in the region. But how is this possible? The answer lies in the irremediably complex and deeply nuanced structure of nuclear warfare possibilities, in the Middle East especially, but also anywhere that such conflict is logically possible. A bellum atomicum could arrive in Israel not only as a “bolt-from-the-blue” enemy nuclear missile attack, but also as a result, intended or unwitting, of certain dynamic escalations. If, for example, particular Arab/Islamic states or Iran were to begin hostilities by launching “only” conventional attacks upon Israel, Jerusalem could decide to respond, sooner or later, and foolishly or wisely, with precisely calculated and correspondingly graduated nuclear reprisals. Alternatively, if these enemy states were to commence conflict by releasing certain larger-scale conventional attacks upon Israel, Jerusalem’s own conventional reprisals could then be met, at least some time in the future, with enemy nuclear counterstrikes. In the past, Israeli conventional preemptions have figured importantly in presumptive resolution of nuclear threat possibilities. If it hadn’t been for Israel’s earlier defensive first-strike operations against Iraq and Syria (Operations Opera and Orchard, respectively), the Middle East would likely already have suffered critically destabilizing impacts of Arab/Islamist nuclear forces. Looking back upon these unprecedented examples of anticipatory self-defense, Israel effectively ensured that assorted terror groups (e.g., ISIS, al-Qaeda, Hamas, and Hezbollah) would not already have become nuclear. The largely unrecognized benefits of these extraordinary operations have affected not only Israel, but also the US and some of its allies. The regional future, however, is apt to become substantially less secure. With a still prospectively nuclear Iran, certain derivative risks of nuclear terrorism could become increasingly intolerable. Further, some of these newer risks might not stay reassuringly confined to the Middle East. Instead, in one form or other, they could “carry over” to scarcely well-protected American and/or European homelands. In all such intra-crisis calculations, being “conspicuous” is always very important. Meaningful security gains, moreover, could turn out to have genuinely existential benefits. Still, a further question should be raised. Why should Israel require a conventional deterrent at all? Wouldn’t its presumed nuclear deterrent, taken by itself – whether still ambiguous or more explicitly disclosed – convincingly deter any and all state-generated aggressions? Wouldn’t all enemy states, at least those that were determinedly rational, resist launching “merely” conventional attacks upon a presumptively nuclear Israel? This welcome reluctance would stem from a well-founded fear of Israeli nuclear retaliation. To clarify further, the underlying dialectic here will need to be carefully charted and understood. Assuming that Israel would cross the nuclear threshold only in highly unusual and existentially threatening circumstances, enemy states could remain convinced, rightly or wrongly, that as long as their own initial attacks were to stay entirely conventional, Israel’s “proportionate” response would remain similarly non-nuclear. This means, at least by reasonably calculated inference, but also by virtue of the documented history of Israel’s several wars, that the only way for the Jewish State to successfully deter a large-scale conventional war over time must be by maintaining large-scale, capable, and reciprocally secure conventional forces. Certain noteworthy strategic possibilities now warrant special mention. Any rational Arab/Islamic enemy states considering first-strike attacks against Israel using chemical and/or biological weapons would take much more seriously Israel’s nuclear deterrent. This argument suggests, inter alia, that a strong conventional capability will still be needed by Israel to deter or preempt any anticipated conventional attacks, more-or-less plausible strikes that could quickly lead (perhaps via unpredictable escalations) to some form or other of unconventional war. Inevitably, in seeking to continually reassess their own power positions, Israel’s enemies will strive to determine just how Jerusalem views its own conventional weapon opportunities and limitations. If Arab/Islamic enemy states do not perceive any Israeli sense of an expanding conventional force weakness, these states, animated by certain expectations of an Israeli unwillingness to escalate to nonconventional weapons, might then opt rationally to attack. 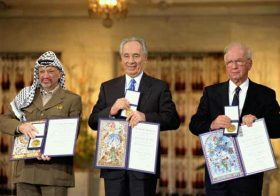 The net result in this scenario could include: (1) defeat of Israel in a conventional war; (2) defeat of Israel in an unconventional (chemical/biological/nuclear) war; (3) defeat of Israel in a combined conventional/unconventional war; or (4) defeat of Arab/Islamic enemy states by Israel in an unconventional war. Ironically for Israel, even the presumptively “successful” fourth possibility could prove catastrophic. This counterintuitive conclusion should once again bring to mind the closely related and similarly counterintuitive matter of Israel’s “bomb in the basement,” or its deliberate nuclear ambiguity. In essence, the credibility of Israel’s still opaque nuclear deterrent must always depend on the perceived usability of its nuclear arsenal. More exactly, should Israel’s own nuclear weapons be regarded by prospective attackers as high-yield, indiscriminate, “city-busting” (counter-value) weapons rather than minimal-yield, “war fighting” (counter-force) ordnance, they might not actually deter. Conceivably, and contrary to virtually all prevailing conventional wisdom on the subject, successful Israeli nuclear deterrence could vary inversely with perceived destructiveness. 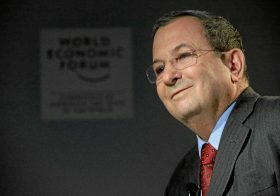 Going forward, this means that Israel’s indispensable nuclear deterrent will require not only recognizably secure second-strike forces, but also weapons that seemingly could be effectively used in “real war.” It also suggests that any continued Israeli policies of “deliberate nuclear ambiguity” could encourage erroneous calculations by at least some prospective attackers. On one occasion or another, such an out-of-date and unsystematic policy could significantly undermine Israel’s nuclear deterrent, perhaps irretrievably. In complex matters of Israeli nuclear deterrence, it must never be minimized that enemy perceptions will be determinative. Unintentionally, to be sure, by insistently keeping its nuclear doctrine and capacity in the “basement,” Israel could be contributing to a growing impression among regional enemies that its nuclear weapons are not operationally usable. In these problematic circumstances, starkly recalcitrant enemies, not quite convinced of Israel’s willingness to employ its nuclear weapons, might calculate the presumed cost-effectiveness of striking first themselves. Depending upon the particular circumstances, any such adversarial acceptance could be reluctant or enthusiastic, but with precisely the same outcome for Israel. For Israel, any such adversarial presumption could prove unacceptable. It must also be recalled that a nuclear war would not respect political boundaries. 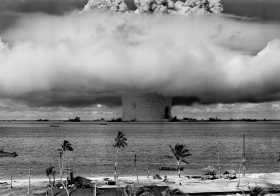 Because of the manner in which nuclear explosions behave in the atmosphere, the altitude reached by a mushroom cloud would depend primarily upon the force of the explosion. For yields in the low-kiloton range, the cloud would remain in the lower atmosphere. Its effects would be almost entirely “local.” For yields exceeding thirty kilotons, however, parts of the cloud of radioactive debris could “punch” into the stratosphere, afflicting both the launching state and noncombatant states. To best prevent a regional nuclear war, especially as Iran will likely continue to approach full and irreversible membership in the “nuclear club,” Israel will need to field a thoroughly dependable nuclear deterrent. At the same time, it cannot rely exclusively upon this one necessary basis of national security doctrine any more than it can depend solely upon conventional deterrence. It must depend, instead, upon increasingly complementary nuclear/conventional forces and doctrine, appropriately intersecting systems of anti-missile defenses, and the residual availability of certain eleventh-hour preemption options. Even now, when the expected costs of any preemption against Iran could be unacceptably high, Israel should not disavow all last-resort options regarding anticipatory self-defense. This is because, by definition, there might still be consequences of not preempting that are greater than the foreseeable costs of preemption. In the volatile Middle East, strategic deterrence is a “game” that sane national leaders may have to play – but it will always be a game of strategy, not a game of chance. In Jerusalem, this means, among other things, a continuing willingness to respect the full range of relevant doctrinal complexity – both its own military doctrines and those of its enemies – and to forge ahead thoughtfully with appropriate and reciprocally complex security policies. 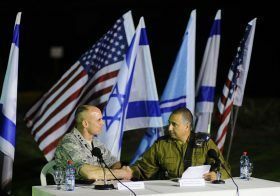 Inevitably, to successfully influence the choices that adversaries could make vis-à-vis Israel, Jerusalem will first need to clarify unambiguously that its conventional and nuclear deterrence seamlessly intersect, and that Israel stands ready to counter enemy attacks at absolutely every level of possible confrontation. There are two last but still important and related points to be made. First, whether Israel’s intersecting and overlapping deterrent processes are geared primarily towards conventional or nuclear threats, their success will ultimately always depend upon the expected rationality of the nation’s enemies. 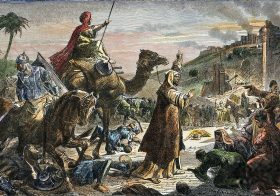 In those residual cases where such rationality appears implausible, Jerusalem would then find itself under considerable pressure to make a preemptive first strike. 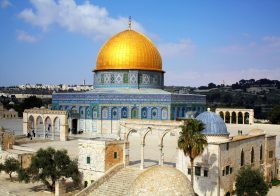 If Jerusalem’s own expected responses were to be judged as rational, they might then also need to include a conclusive and operationally reliable option for expressing anticipatory self-defense. For Israel, it goes without saying that regional conflict prospects should always be curtailed at the very lowest possible levels of controlled engagement, and that under no circumstances should Israel ever need to find itself having to preempt an already nuclear adversary. It should be Jerusalem’s overriding security obligation to prevent such unacceptable but still imaginable circumstances. Second, even the most meticulous plans for preventing a deliberately inflicted nuclear conflict would not remove all attendant dangers of an inadvertent or accidental nuclear war. While an accidental nuclear war would necessarily also be inadvertent, there are certain forms of inadvertent nuclear war that would not necessarily be caused by mechanical, electrical, or computer accident. These forms of unintentional nuclear conflict would represent the unexpected result of misjudgment or miscalculation, whether created as a singular error by one or both sides to a particular (two-party) nuclear crisis escalation or by unforeseen “synergies” arising between any such singular miscalculations. It follows from this obiter dicta that the only predictable aspect of any conceivable nuclear crisis involving Israel would be its utter unpredictability. More than anything else, this implies an insistent obligation, in Jerusalem, to remain not only vigilant about all enemy capabilities and intentions, but also relentlessly cautious and studiously modest about Israel’s own capacities to control all prospectively “untoward” nuclear events.